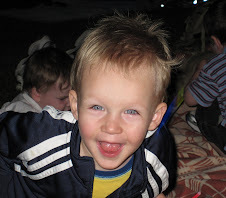 The C&C Burkman Family Blog:: Carter's big night. Well... in true St. Patrick's Day spirit, Carter had a bit too much of the hard stuff last night before bed as this incriminating slide show will clearly show. There's captions on each picture to provide better insight into Carter's milk-induced downfall. Don't worry, he's getting the help he needs so don't judge him too harshly. Hope your St. Patrick's Day was as exciting as Carter's! YOu guys are too funny. Carter, lay off the hard stuff would ya:) See you on Saturday. Guinness in a baby bottle, brilliant! That is the best St. Patrick's video I have ever seen. Carter is so cute!! So Chris what is your bracket looking like? GREAT stuff there! Carter is the best little milk junkie in the world! Funny blog.... 6:04 AM!!!! What the heck!?? Who the heck blogs at 6:04 AM???? Crazy people!